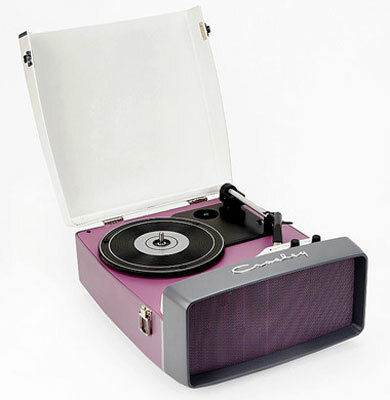 Just a day after we featured a rather smart vintage Dansette, we spotted something the Crosley 1960s-style Collegiate portable turntable. 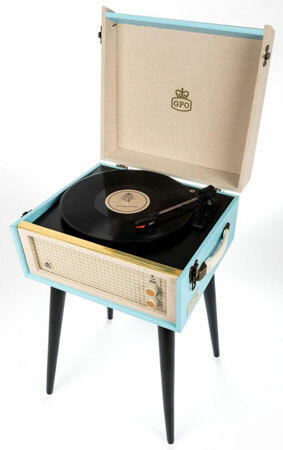 As the Dansette went down so well, we thought this might be worth a mention too. It goes for the same look and is inspired by the same early 1960s era. 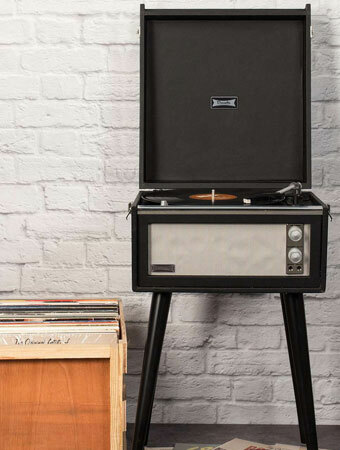 This is a ‘suitcase’ record player just like the Dansette on the face of it. But obviously there are key differences. 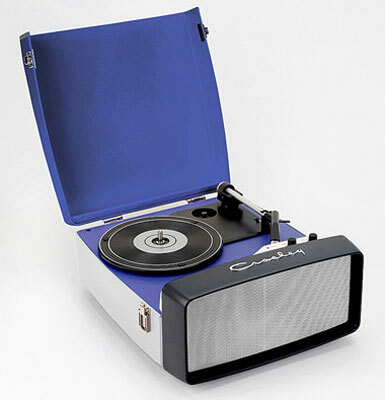 Not that they rate listed on the seller’s website, but we have done some research and found that the Collegiate has an aluminium grill speaker and leather handle, the option to play 7, 10, and 12-inch vinyl plus the added bonus of USB connectivity (and software) should you want to transfer your old tunes to digital. It’s also very small at 15 x 15 x10 inches when shut. 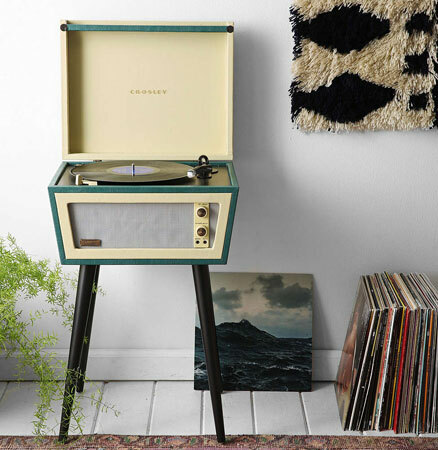 Of course, that makes it smaller than your average Dansette and the new one isn’t going to come with a lovely old valve amplifier either. 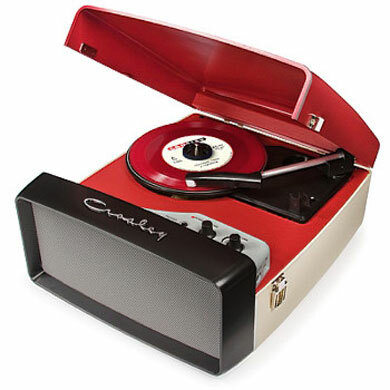 But if you want new, there are a couple of colour options of the Crosley Collegiate now available in the UK, priced at £160.